Another treasure has surfaced, this one found within a stack of extremely old newspapers and magazines. And I wanted to share it in the event it helps others locate an image of an ancestor (or two). My grandmother, Fannie Bishop Woodruff, graduated from Battin High School in Elizabeth, Union County, New Jersey, on June 21, 1898, and the wonderful find is a fabulous and fascinating group photo of her with all of her classmates. If you click on the photo to enlarge it, you’ll see that I have labelled it with the names listed by my grandmother on the reverse side. I have marked her with a little red heart. A second red heart appears on her cousin Frank W. Russum whose mother was Cecelia Angus, a younger sister of Wealthy Ann Angus Woodruff, Fannie’s mother. Every little detail makes this photo special—the expressions on the faces, the clothing, the architecture, the lettering on the sign followed by a period, the big wooden chair in the open window, the little flowers (dandelions?) on the lawn, the flower pot… A true slice of life from June 1898. Rutgers ‘02: Frank Winner Russum; Charles Ernest Pett; and Charles Warren Stevens Jr.
Rutgers ’05: Emil Eisenhardt Fischer and Frederick Alton Price, Jr. The yearbooks are available for free online via Rutgers (click the above links) and contain a wealth of information and images, Definitely worth a leaf through if you have time and are interested in getting a glimpse of college student life circa 1900, at what was once an all-male school. Two names of these ladies (Edith Denman and Ethel M. Hall) don’t appear in the commencement brochure (shown below), but they DO appear in the Elizabeth Daily Journal article about the 1897 graduation (that article is also below). Why that is, I have no idea. 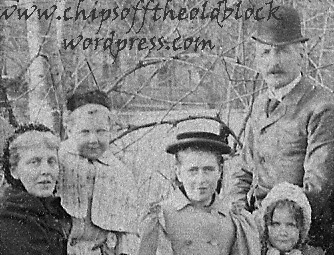 Pollatschek would have been a very unusual name for my grandmother to remember and write/pronounce, so perhaps the young man second from the left up top is Richard Pollaschek, who, I discovered, was born in Bohemia and emigrated from Austria to the US with his family. To throw an additional spanner into the works, the above individuals marked with an asterisk also appear in the newspaper article for the previous year’s graduation… (as do names of some of the others in the photo)… Why that is, I don’t know. What makes things stranger is that Blanche Hess is listed as a participant in the ceremony in the 1898 brochure. It occurred to me that the group photo could have been taken in 1897 when my grandmother was a junior, but that would not explain the presence in the 1897 newspaper article of so many names of people who aren’t in the group photo. If anyone out there has a theory as to the overlap, let me know. Anyway, what matters most is that the photo exists, and we are still far ahead of the game of identification thanks to my grandmother who wrote down the names she did, and to my parents who kept the photo since her death in the mid-1960s. Prior to being known as Proctor’s, in 1898, this venue was known as the Star Theatre. Grandmother’s graduation ceremony was held on Tuesday, 21 June 1898, at 7:45 p.m. at the Star Theatre (which later became Proctor’s Theatre and had numerous other names over the years; it was eventually demolished and replaced by the Ritz Theatre) located at 1146 East Jersey Street, less than a mile from the school. At the time she lived on the family farm on Conant Street, Hillside; this must have been a big night out for her parents and five sisters, and of course, for the many other families whose children had grown up together in, what was then, a quickly evolving city. You can read the article about the 1897 graduation (credit: Digi-find) to get a sense of what the 1898 ceremony may have been like. Apart from the article, below you will also find the 1898 commencement brochure and an excerpt about Battin High School from the 1889 book City of Elizabeth, New Jersey, Illustrated which contains hundreds of interesting photos and descriptions of Elizabeth during that period. You may have noticed the two young black students in my grandmother’s group photo—James Morris and Mattie Thomas. James looks exceptionally scholarly in his spectacles and student attire. He is listed in the 1897 article as one of the students who was graduating. The article further stated: “As the graduates went forward to receive their diplomas each received applause. 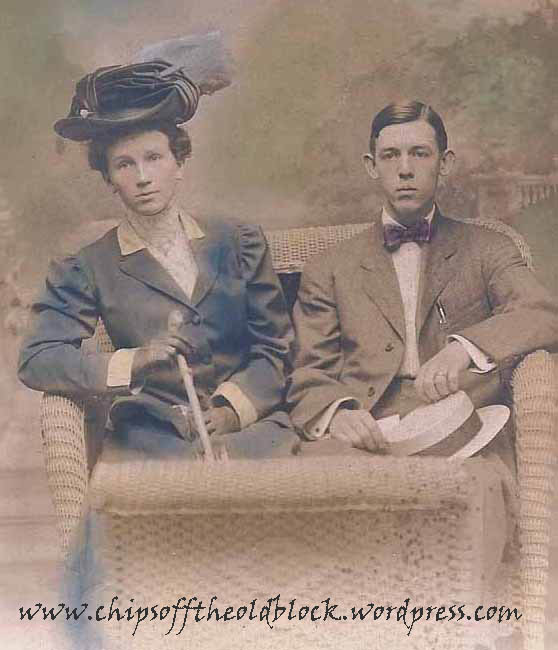 There were two young colored people in the class, and they were especially favored with the expression of the delight of the audience.” That was very gratifying to read and I have no doubt that Mattie and James were just as warmly received in 1898. A-ha! Lightbulb moment! I noticed that James appeared in the 1897 list as a student in the Commercial Course and in the 1898 brochure as a student in the Regular Course. If I am not mistaken, the same appears to be true of the other students who appear to have graduated twice. So, perhaps, it was common for students to take an extra year to complete the regular course after graduating from the commercial course. That seems like a possible explanation. I hope you find this post interesting and enjoyable. Please leave a comment if you have anything to correct, add, or share. Thank you! Update: As luck would have it, I just came across the Elizabeth Daily Journal article for the 1898 graduation. It is included below at the very end. Unfortunately it is not entirely legible, but I can make out my grandmother’s name, and many of the others. When I first glanced at the list of my grandparents’ wedding gifts (Frank M. Brodhead & Fannie B. Woodruff) a number of years back, most of the names did not ring any bells. Now, six years into delving deeper into my family history, many of these names are familiar to me, and I even almost feel as if I know some of them, as odd as that may sound. Naturally, the list both offers clues and raises questions, but c’est la guerre when you’re peeling the six-ton onion that is your family tree. The wedding took place in Hillside (adjacent to Elizabeth), NJ, at the Woodruff family home on Conant Street on 6 June 1908. For the 1900 census, the family was living at “258 Conant Street”, where today there is nothing but an empty field. However, I’d be willing to wager that 100+ years ago, the old Francis Woodruff home (built by Fannie’s grandfather Francis in 1845 and inherited by eldest son William–Fannie’s father—in 1883) was actually 258 Conant Street because it was a working farm until the land surrounding the home was sold for housing developments. So while I could be mistaken, I feel confident the Woodruff family lived in this home on Conant Street, which is still standing. I remember my dad taking us past this house as kids and telling us that that was where his mom (Fannie) and her sisters were born. My grandmother was 17 at the time of the 1900 census and worked as a stenographer. 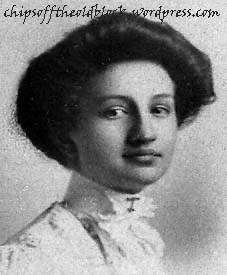 Before she was married eight years later, she was working as a secretary for Mr. Edward D. Duffield, then president of Prudential Insurance Co. Unfortunately, we have no photos from the big wedding day, which is disappointing. I feel very wistful when viewing others’ late 19th- and early 20th-century wedding photos—I sure wish we had some. The gift list contains 133 items, so I won’t scan in and post all the pages, but I will list some of the gift-givers who stand out to me as well as some I would like to figure out. 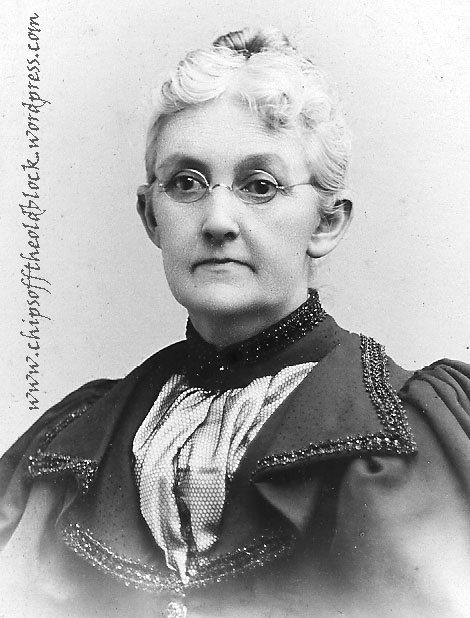 For example, Aunt Fannie Bishop. Who was she?—I wondered. She must have been someone important since my grandmother was named after her! Upon checking census records, I did indeed discover a Fannie Bishop (b. Feb 1852) living with her husband and children (Samuel, William, and Charles) in that very same neighborhood, so perhaps “Aunt Fannie” was a childhood friend of my grandmother’s mother. In short, there are names to be explored here, and as time goes by, it may be possible to figure out who more of these folks are. The Earls are no doubt all cousins, etc., via William Woodruff’s grandmother Mary Ogden Earl (married John Woodruff in 1817), and I have done nothing yet to research that line, so I am sure once I do get around to it, some of these names will start to pop up. 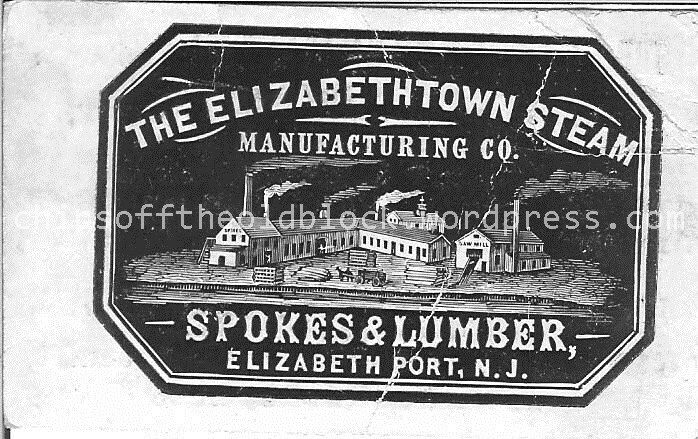 Likewise with the Cranes, a very old Elizabeth, NJ, family. The parents of the bride and groom were: Andrew Douglas (A. D.) Brodhead and Margaret Lewis Martin Brodhead, and William Earl Woodruff and Wealthy Ann Angus Woodruff. The extended Woodruff and Angus families were very large, the former being among the original settlers of what became Union County. Andrew Brodhead, who hailed from Mauch Chunk, PA, and whose immediate and extended family was also very large, met and married Margaret Martin (a descendant of David Wait & Irene Bell) of Perth Amboy, NJ, and, after living for many years in that town, they and their children transitioned to Elizabeth. Perhaps, you will find the name(s) of some of your ancestors on this list, and if you do, please feel free to give a ‘shout-out’ in the comment box. It’s fascinating to see so much family coming together for a big event, something that probably happened much more often back then given how enormous families were. Births, weddings, and funerals must have been quite common occasions. I’m including the wedding announcement, which I posted once previously on the blog, but I think it adds to this post so I am publishing it again. As for the necklace mentioned, I suspect it was sold to a new owner during the Great Depression; I never heard my Dad mention it or its whereabouts. Portion of Plan of New York and Brooklyn. (Atlas of New York and vicinity … by F.W. Beers … published by Beers, Ellis & Soule, New York, 1868) – David Rumsey Historical Map Collection – link below. ROSS STREET is in Ward 19. Below is a Summons Notice that appeared multiple times in 1918 New York newspapers. It comes from the Brooklyn NY Daily Standard Union, Friday, 15 March 1918, and contains a ton of names of people who are in some way related to James W. Angus, one of my 2nd great grandfathers. He died of erysipelas (acute streptococcus bacterial infection of the upper dermis and superficial lymphatics) on 23 December 1862, over 50 years prior to this notice’s publication. I am slowly chipping away at a lot of these names, partly thanks to the recent discovery of Jane Jaques Birch and John B. Jaques and their offspring. I have no idea what the kerfuffle was, who the plaintiff was, etc. It appears to have something to do with James W. Angus’s estate and property at 17 Ross Street, Brooklyn (visible in the upper left of Ward 19 in the attached map). You may find some names of interest, too, if you are researching these families, so I am publishing the notice here. Thank you, Fulton History website, for allowing articles to be snipped and published elsewhere! MAP LINK: Plan of New York and Brooklyn. (Atlas of New York and vicinity … by F.W. Beers … published by Beers, Ellis & Soule, New York, 1868) – David Rumsey Historical Map Collection. Isaac Jaques (1791-1880) – a family mystery solved? (This post is a continuation of the previous post on Isaac Jaques.) A brief but interesting statement appeared in The Trenton State Gazette on April 13, 1880, celebrating Isaac Jaques’ longevity: Isaac Jaques, the oldest citizen of Elizabeth is 91 years of age. He has seen every President of the United States, except President Hayes. His age was not quite accurate, but nonetheless, this was a fun entry to come upon. If it’s true, he would have seen Presidents Washington, Adams, Jefferson, Madison, Munroe, Adams, Jackson, Van Buren, Harrison, Polk, Taylor, Pierce, Buchanan, Lincoln, and Grant! That’s pretty extraordinary to think about. So what else do we know about Isaac? Well, according to US census records, in 1880, prior to his death, Isaac Jaques was living in his stately Elizabeth, NJ, home with his 2nd wife Rebecca (age 69) and two sisters-in-law: Angelina Wile (82) and Sarah Brown (80). 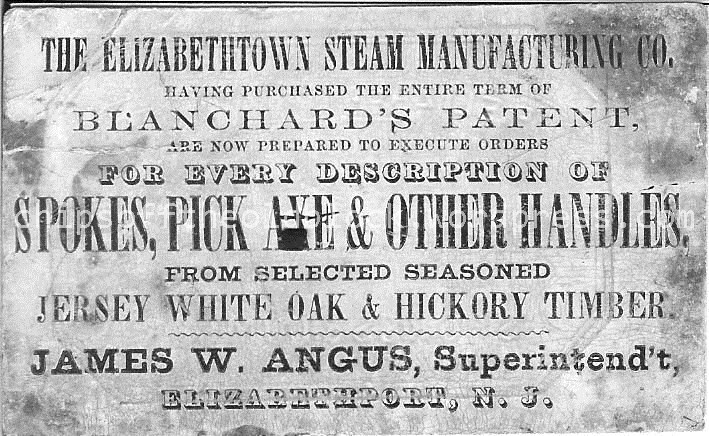 Isaac’s daughter Wealthy Ann Angus (widow of James Winans Angus, d. 1962) was living up the road with her three children who had yet to fly the coop (she and James Angus had 11 children in all): Walter (18, machinist), Job (23, machinist [and future superintendent of the construction of the Smithsonian Institution building in Washington, DC, and personal friend of President Lincoln]), and Charles (26, oil dealer). Next door to the Angus family lived Wealthy’s daughter Cecelia (25) and son-in-law Thomas B. Russum (30, draughtsman) and the Russum’s children Thomas (6) and Charles (1). Wealthy Ann Cushman, Isaac’s first wife, passed away on April 13, 1856. A New York Times obituary for Wealthy [Cushman] Jaques was published on April 15, 1856: At Elizabeth, NJ, on Sunday morning, MRS. 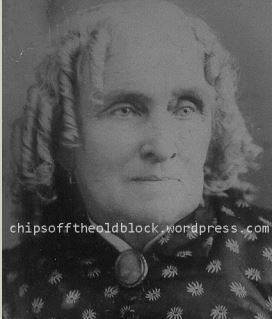 WEALTHY ANN JAQUES, wife of Isaac Jaques, in the 62d year of her age. The relatives and friends of the family are respectfully invited to attend her funeral, this (Tuesday) afternoon, at 3 o’clock, from her late residence. By the time of the 1860 census, Isaac (roughly 69) was married to Rebecca Robinson, a widow (age 49). In summary, I am quite surprised never to have seen any mention made of Wealthy Angus’ siblings in any obituaries anywhere. Perhaps, indeed, they all predeceased her and her father, Isaac Jaques. 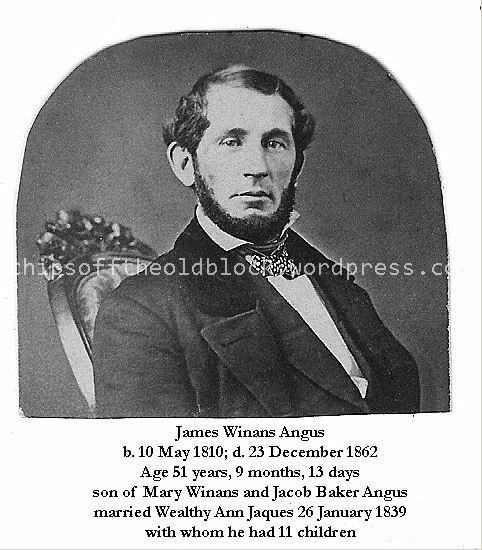 I just truly find it odd that no family histories in my direct family line and the neighboring lines I’ve seen included any mention of anyone other than Wealthy Angus. Was it because she had been the most successful and the others not worthy of a mention? (I should hope not!) Or maybe they predeceased Wealthy and her father? Or maybe there are mentions of them out there that I simply have yet to come across. This post has gone on way too long, so I will bid adieu for now. I have one other ‘bombshell’ to share, but I’ll leave that for next time! Maybe by then, I will have learned more about Isaac’s progeny. I just love this photo and wish I had more like this one. Thankfully it was labelled (but not dated) when I found it buried with all sorts of family papers. It was in bad shape so I spent a lot of time on Photoshop getting rid of distracting specks, spots, and tears. 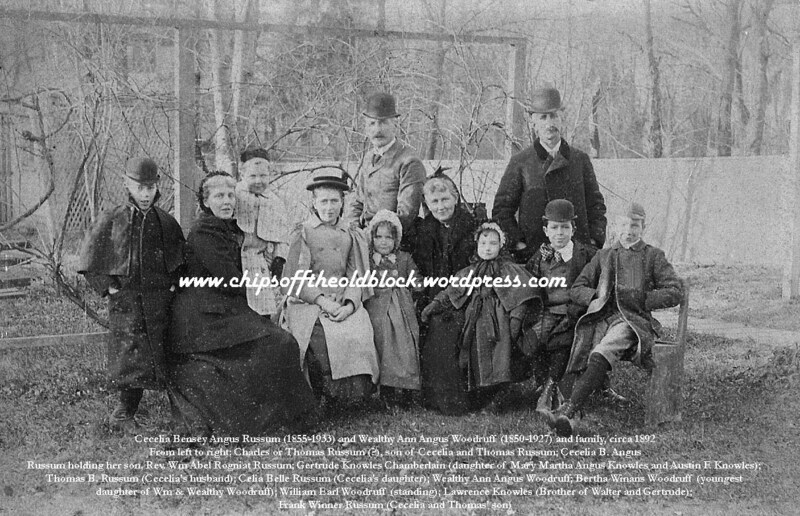 Seated are the moms, two of James and Wealthy Angus‘s daughters, Cecelia Bensey (Angus) Russum and Wealthy Ann (Angus) Woodruff. Standing are their spouses, Thomas B. Russum (left) and William Earl Woodruff (right). 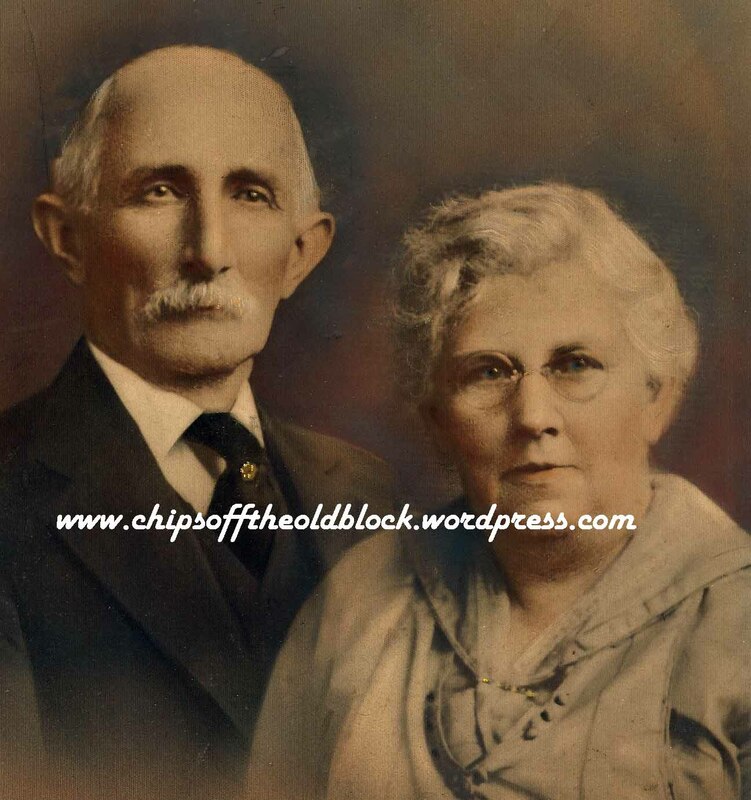 (Wealthy and William Woodruff were my great grandparents. 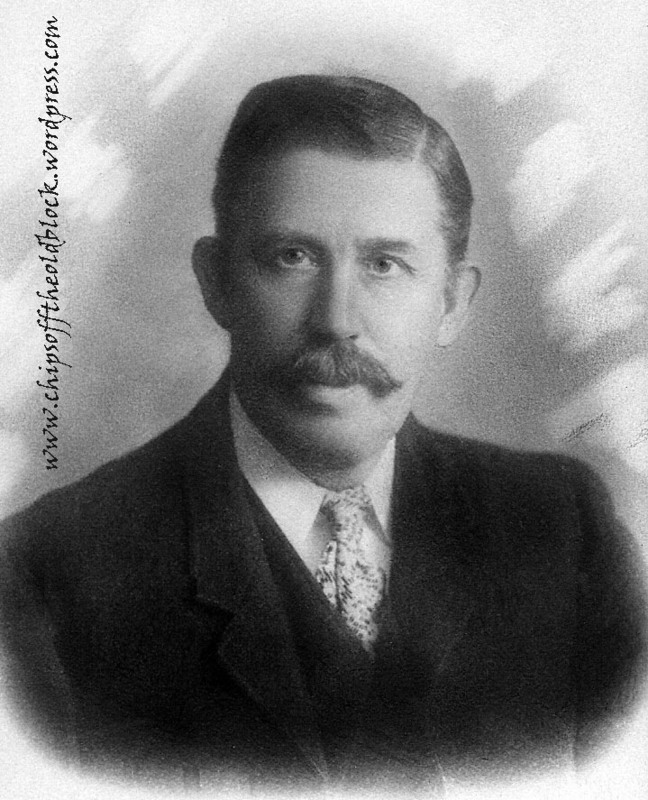 William, son of Mary Jane Trowbridge and Francis Woodruff, was the one who was mentioned in previous posts as having received letters from his uncles, Henry and Uzal Trowbridge, during the Civil War.) The photo was taken in the early 1890s, perhaps on the occasion of Wealthy Ann Jaques Angus’ death in March 1892 (both sisters dressed in black). Little Bertha Woodruff was born in 1888; I’d say she looks about four here. Anyone with a stronger opinion on her age, please let me know your thoughts. With the moms and dads are some of their children and some children of another Angus sister, Mary Martha (married to Austin F. Knowles). I have labelled the photo so I won’t repeat names here. Suffice it to say that I have quite an abundance of material on this side of the family and will be working to assemble it to include as much as possible of it in this blog in the upcoming year. On a side note, I am probably going to be reducing my blog posting to once per week as other commitments will be taking up more of my time in the coming months. That may change when summer comes as I should have a bit more time on my hands. I welcome hearing from any Angus descendants who have any information or photos to share or who simply want to get in touch. Update 5/16/12: Photos have been added to the memorial on Find-a-Grave for Rev. William Russum, who appears in the photo as a small chubby boy.